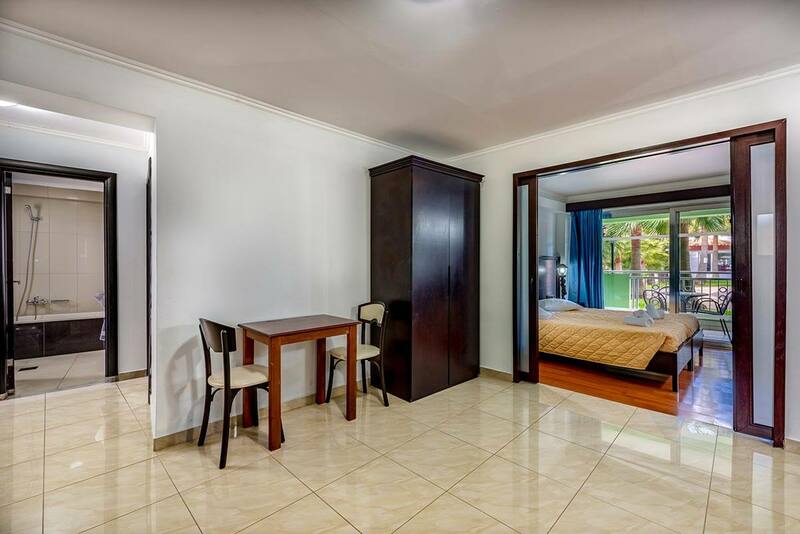 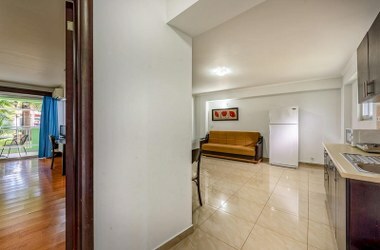 The two bedroom apartment are located on the ground floor. 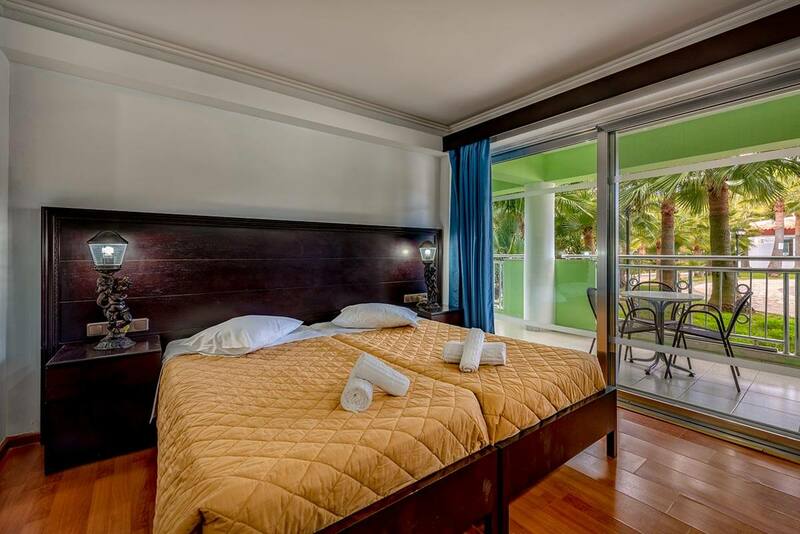 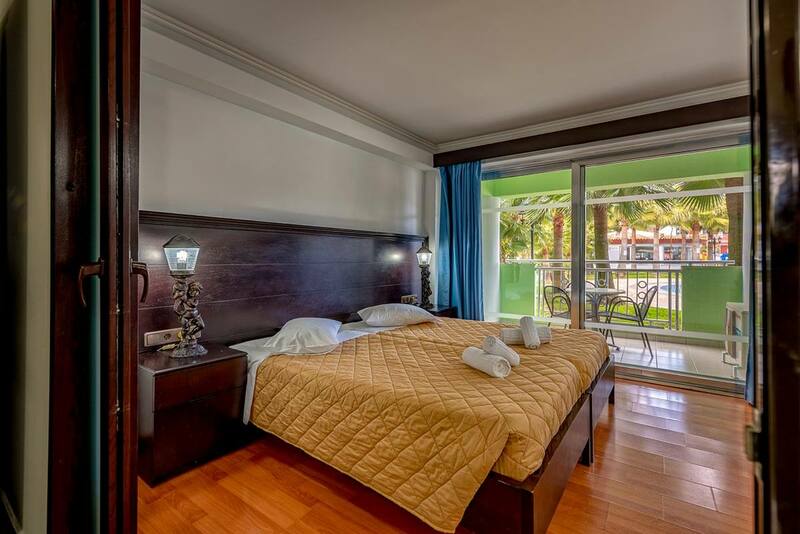 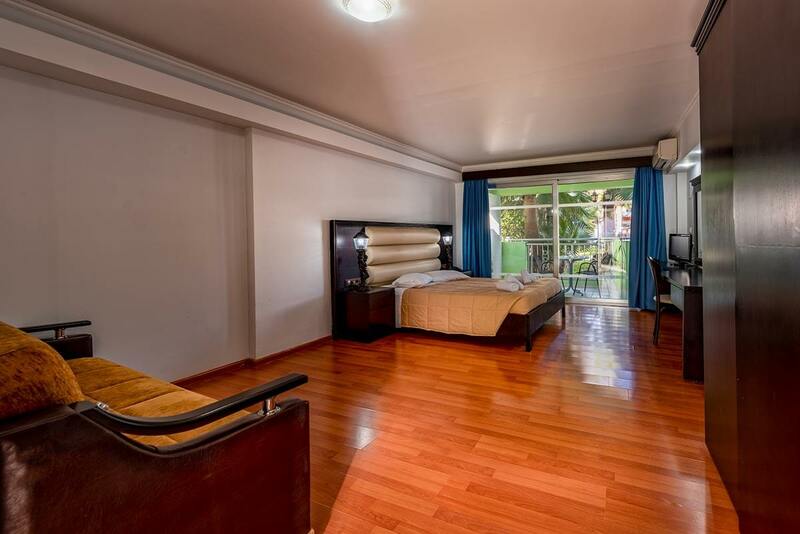 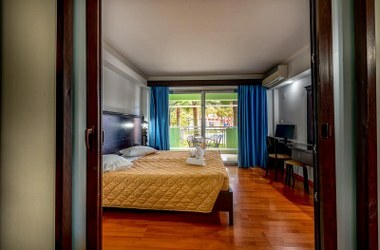 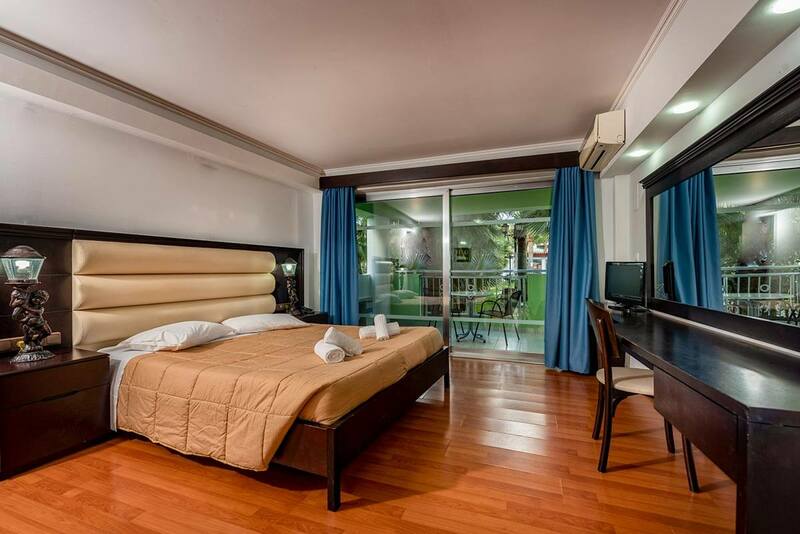 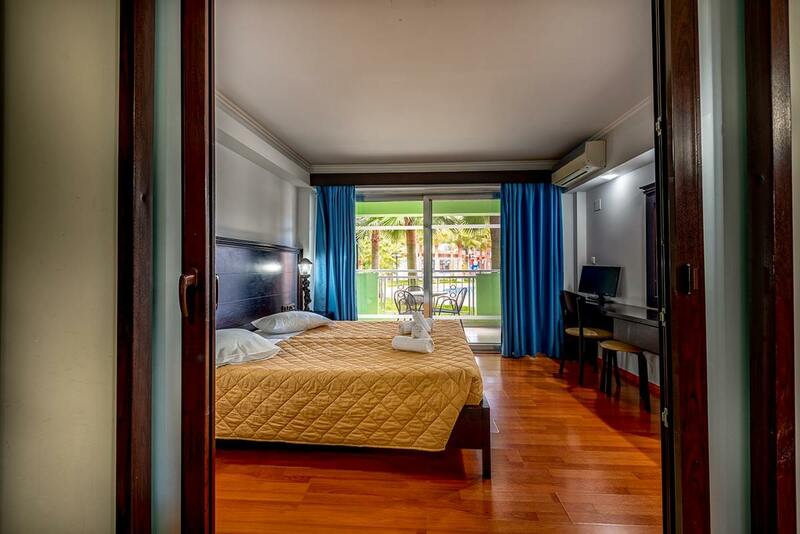 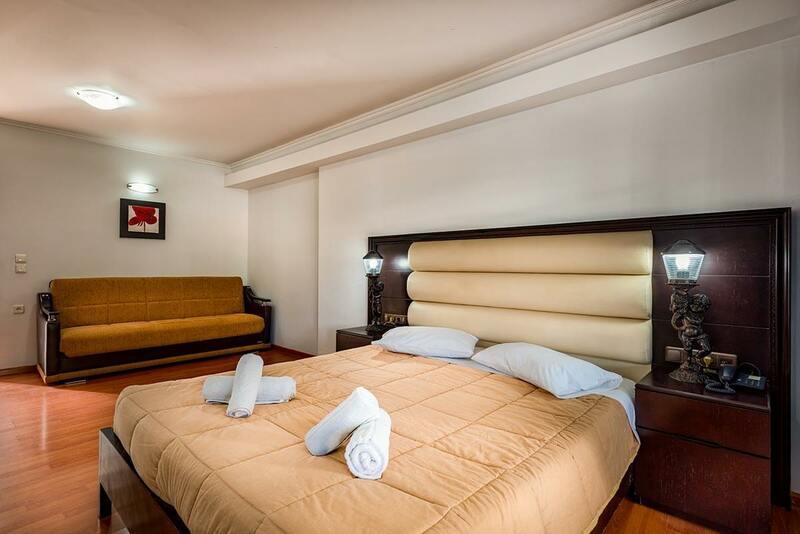 The apartments are equipped with two double or twin beds and a sofa bed with room for two children. 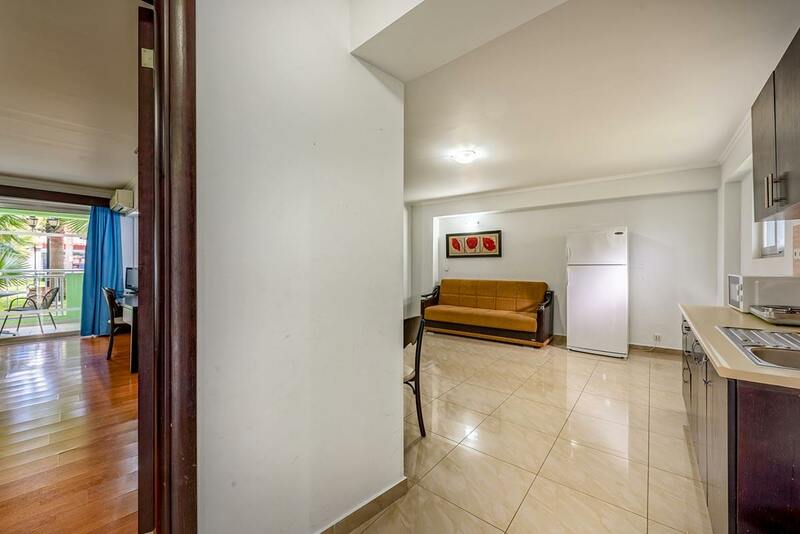 There is air condition, television, hairdryer, telephone, fridge, microwave and other necessary kitchen equipment. 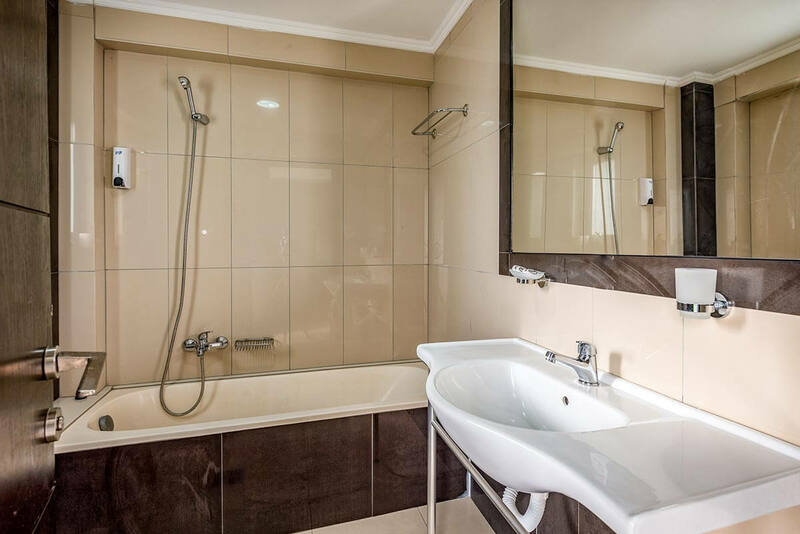 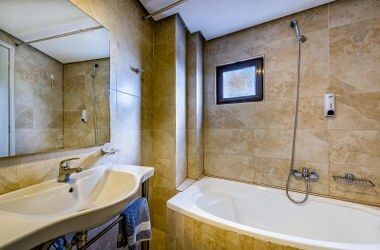 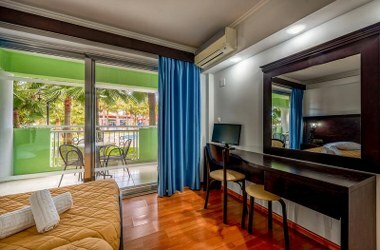 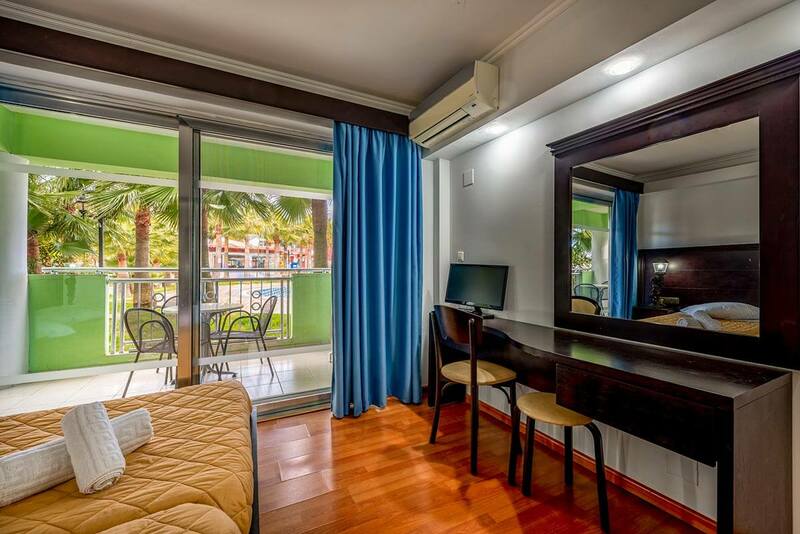 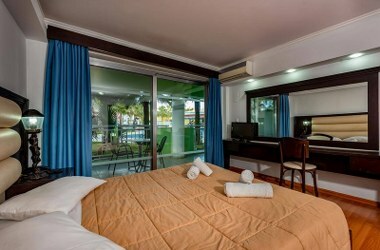 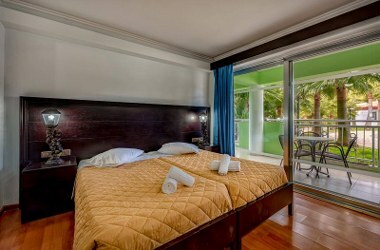 In the apartment you also find a fully equipped bathroom and a furnished balcony or terrace the overlook the swimming pools. 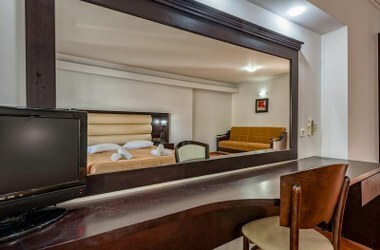 Wifi in the room is an extra cost.